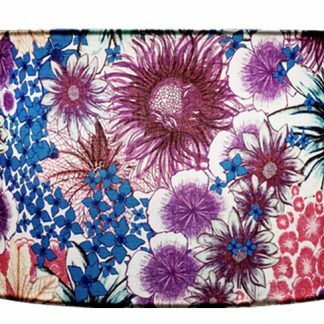 lampshade in a drum shape with a beautiful design is translucent when lit. 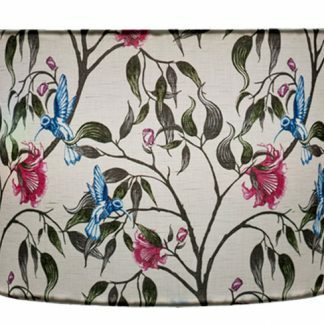 There is a three stage process in the manufacture of our lampshades. 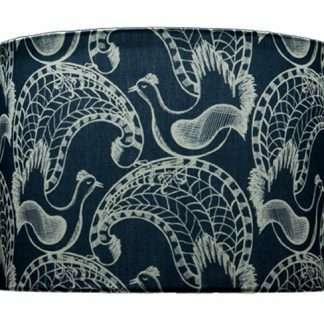 First the design is created, second the design is printed onto fabric and third the fabric is sent off to the lampshade manufacturer for production. 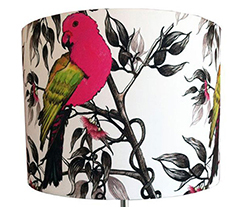 Our drum lampshades feature designs that have been chosen from our design collections. 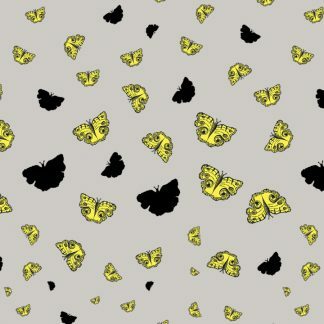 Designs hand-drawn, coloured and then digitally printed onto a linen fabric base-cloth. 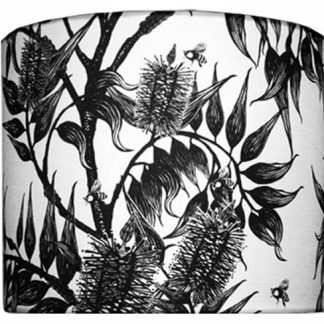 Your custom made bonded lampshades are manufactured in Australia using our linen fabric adhered onto a styrene backing. They are translucent when lit and comes with either a standard base or a pendant fitting.